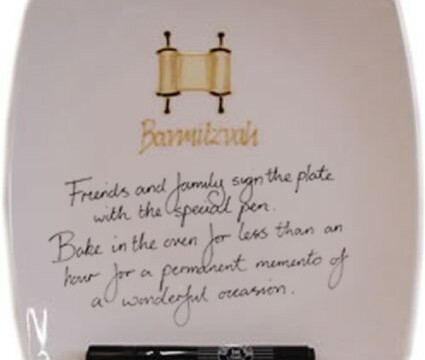 This is a very unique personalised signature Barmitzvah plate. You can sign the plate and create a personal message with the pen provided. Comes complete with the pen and instructions. Click on the link below for further details. Alongside another present this creates a unique peice of memorabilia for a Barmitzvah Boy.